Chicken Run 2 : An adventure Escape is a FREE game with addictive and exhilarating arcade gameplay. Help the cute chicken as he runs, jumps and whirls through the underbrush to outrun and outmaneuver the fearsome Grizzly animals in this high-octane chase! Lost in foreign lands You are a cute little chicken escaped from the butcher and escaped into a strange forest. Eyeing you suspiciously is a grizzly animals, and he’s looking super funny. 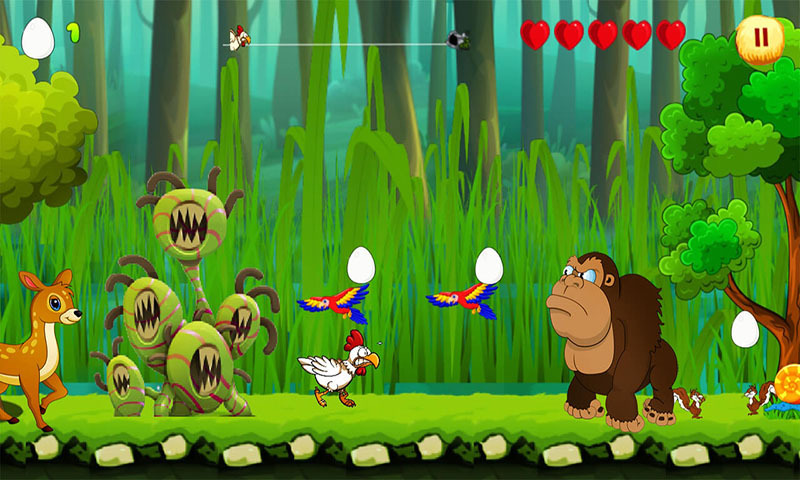 Suddenly the animals lunges at you – run, Chicken Run! It?s a jungle out there but with enough speed you might be able to get away! Run for your life! Enjoy this exciting, fast-paced running game featuring an incredibly cute and cuddly chicken. Make the fluffy chicken run, jump, slide and glide to safety. Use your reflexes to control the chicken?s movements and keep him out of the bear?s jaws. Are you up for the challenge? Find out in this action-packed runner! How to play: Touch your screen to jump. Timing is important! Collect as many eggs as you can ? you?ll need them for energy One touch control makes so easy to play Features: 1. One touch 2D platformer run game makes the game playable for any age. Even a small kid can easily play. 2. Want to check the surprise of 4 different worlds with 24 different stages. 3. Have more than 80 different enemies. 4. Have eggs and hearts powerups. 5. Have background music and sound effect make gameplay realistic. 6. Support SD card installation. 7. Simple and playable for all including kids. Audrey is a great lover of jewelry, and seems to know everything about them. She is ready to live in a jewelry shop. Oh, how nice it would be to own one of these boutiques … Hmm … This is an idea! Having collected all her savings, Audrey decided to make a purchase. But all of her savings will suffice only for a small old shop on one of the streets of Paris. Unfortunately the shop is in terrible condition. Customers would not stay here longer than a couple of seconds! It’s time to renovate it. Let’s work! 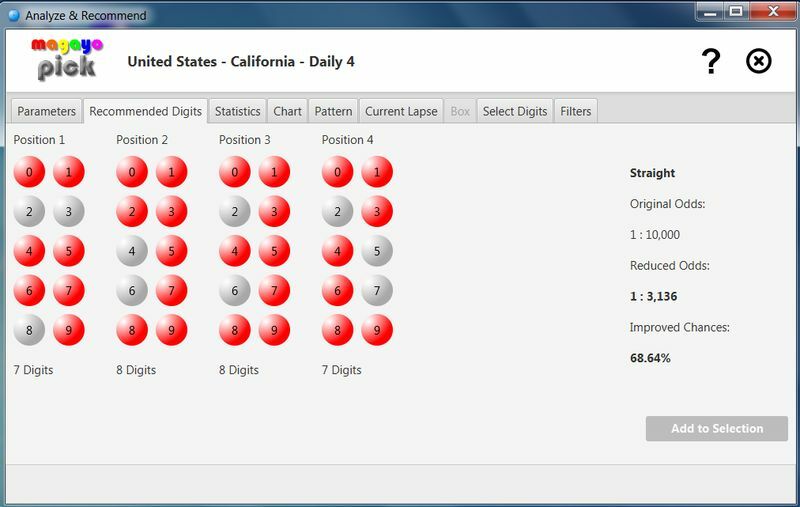 magayo Pick is a powerful and yet easy-to-use lottery software for Pick 3 and Pick 4 lottery games. It generates the recommended pool of digits to play based on the latest trends and patterns, thereby reducing your odds and increasing your chances of winning the lottery! magayo Pick will further recommend you the filters to use for the ticket generation to narrow your play. Comprehensive statistics are available for you to analyze every digit in every position, the digit lapse, odd and even combinations, low and high combinations, root sum, sum, front 2 and back 2 digits, front 3 and back 3 digits, Straight and Box. Visibility to the trends and patterns, plus graphical charts, are also provided in all statistics to help you in your ease of analysis. By analyzing these statistics, you can intelligently select the digits to play as well as the filters to use, thereby reducing your odds and increasing your chances of winning the lottery! magayo Pick supports various Pick 2, Pick 3, Pick 4, Pick 5, Daily 3, Daily 4, Cash 3, Cash 4, 3D, 4D, 5D and 6D lottery games around the world. The lottery results for the supported lottery games can also be updated easily with a single click. The supported games include lottery games in Aruba, Australia, Belgium, Belize, Bonaire, Canada, Chile, Colombia, Costa Rica, Curacao, Dominican Republic, Grenada, Guyana, Latvia, Malaysia, Mongolia, New Zealand, Nigeria, Philippines, Puerto Rico, Singapore, Sint Maarten, South Africa, Ukraine and United States. You can visit our website (www.magayo.com) to see the winning tickets of our lottery winners. 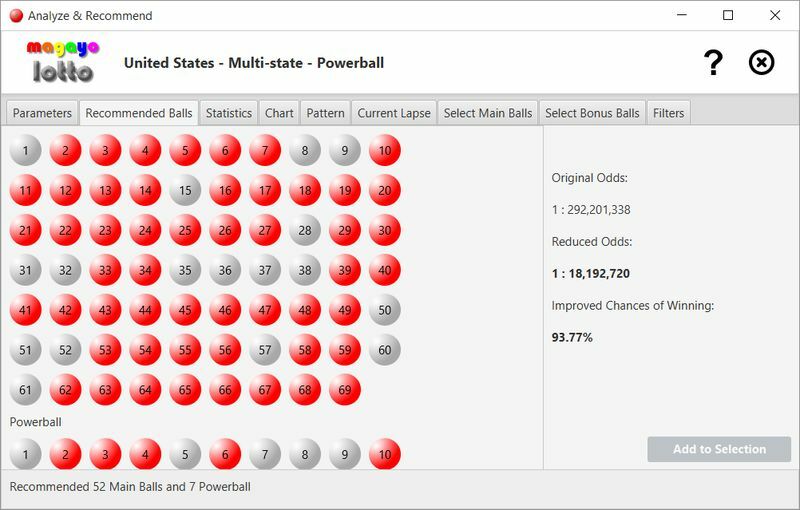 magayo Lotto is a powerful and yet easy-to-use lottery software for Lotto, Powerball, Thunderball, EuroMillions, EuroJackpot and Toto games. It recommends you the pool of balls to play and the filters to use based on the latest trends and patterns, thereby reducing your odds and increasing your chances of winning! 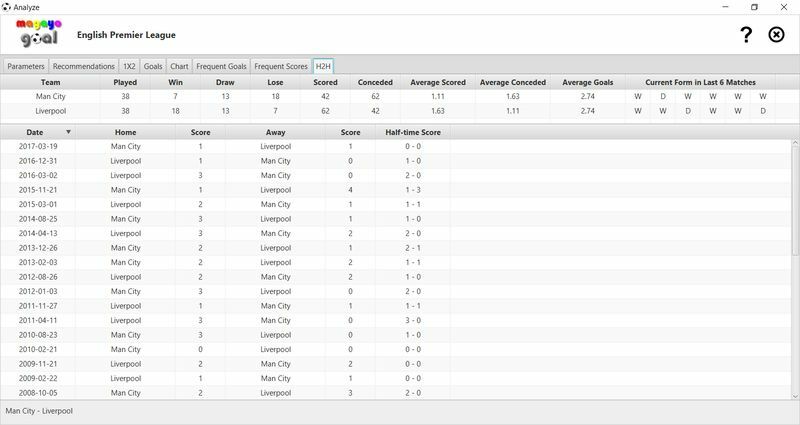 It offers comprehensive statistics for you to analyze every ball, groups of balls, consecutive balls, the last digit of each ball, the lapse, root sum, sum, odd/even combinations and low/high combinations. Graphical charts are provided to help you in your ease of analysis. Based on the selected balls, you can randomly generate the lottery tickets to play or select a wheeling system from over 650 abbreviated wheels to generate your tickets. Multiple advanced filters are applied to further enhance your chances of playing the right combination. 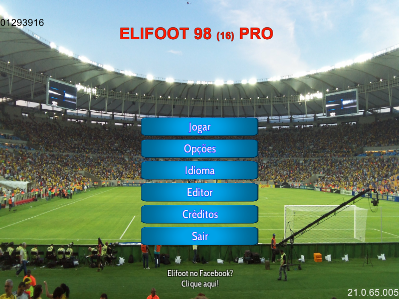 The draw results for the supported games can be downloaded and updated with a single click. The supported games include games in Anguilla, Antigua & Barbuda, Argentina, Aruba, Australia, Austria, Azerbaijan, Barbados, Belgium, Belize, Brazil, Bulgaria, Canada, China, Chile, Colombia, Costa Rica, Croatia, Cyprus, Czech Republic, Denmark, Dominica, Dominican Republic, Estonia, Finland, France, Germany, Ghana, Greece, Grenada, Guyana, Honduras, Hong Kong, Hungary, Iceland, Ireland, Israel, Italy, Jamaica, Japan, Kenya, Kosovo, Latvia, Lebanon, Lithuania, Luxembourg, Macedonia, Malaysia, Malta, Mauritius, Mexico, Mongolia, Morocco, Netherlands, New Zealand, Nicaragua, Nigeria, Norway, Peru, Philippines, Poland, Portugal, Puerto Rico, Romania, Russia, Saint Kitts and Nevis, Saint Lucia, Saint Vincent and the Grenadines, Serbia, Singapore, Sint Maarten, Slovakia, Slovenia, South Africa, South Korea, Spain, Sweden, Switzerland, Taiwan, Trinidad and Tobago, Turkey, Uganda, Ukraine, United Kingdom, United States, Uruguay, US Virgin Islands, Vietnam, Zambia & Zimbabwe. Visit magayo.com to see the winning lottery tickets. PowerXGames Theater is a playful PC testing application containing three games Blocker Plains, Color LIFE Sound and Perpetuum mobile, that can be run simultaneously to evaluate PC performance. Each game can be re-sized to display at the full screen resolution, or they can be arranged in a side-by-side format or in other overlapping or stacked formats. The selected arrangement can be saved to the later recall as configuration. Blocker Plains is a reaction game with six levels, an unlimited number of balls, 50 stone plains and a freely movable Blocker. The objective of the game is to move the Blocker to manipulate the balls to clear away the stone plains. The blocker size, the size and speed of the balls and the ball gravity are changed variably through the game levels. 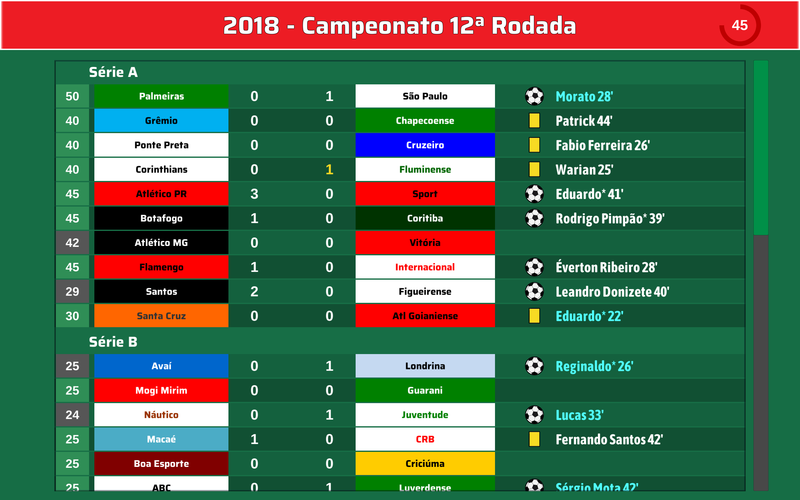 High scores are stored in a Champions list. Eight captivating sound themes and changing backgrounds makes Blocker Plains a fun experience. 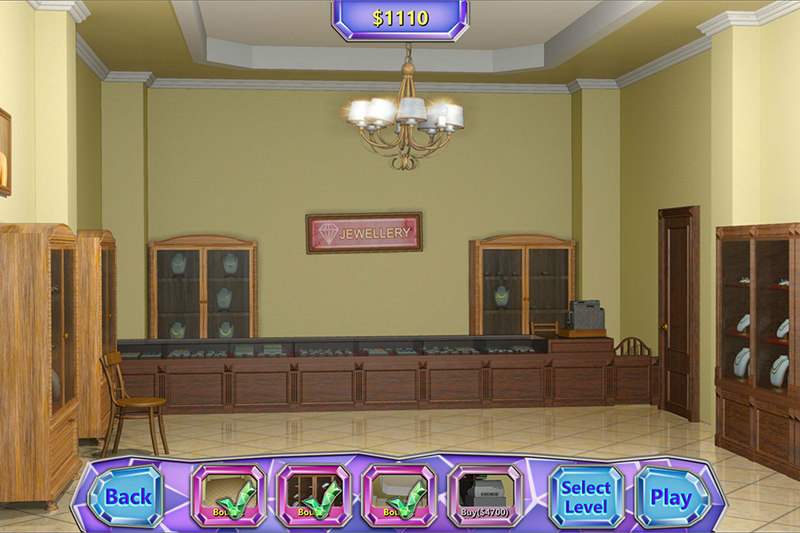 Six players can simultaneously participate in the game. Color LIFE illustrates the reproduction behavior of microorganisms. The reproduction rules, the incremental width and the output time of the generations can be independently selected. Color-palettes can be produced on your own. With a shape-run, new rules and nice graphics can be found. 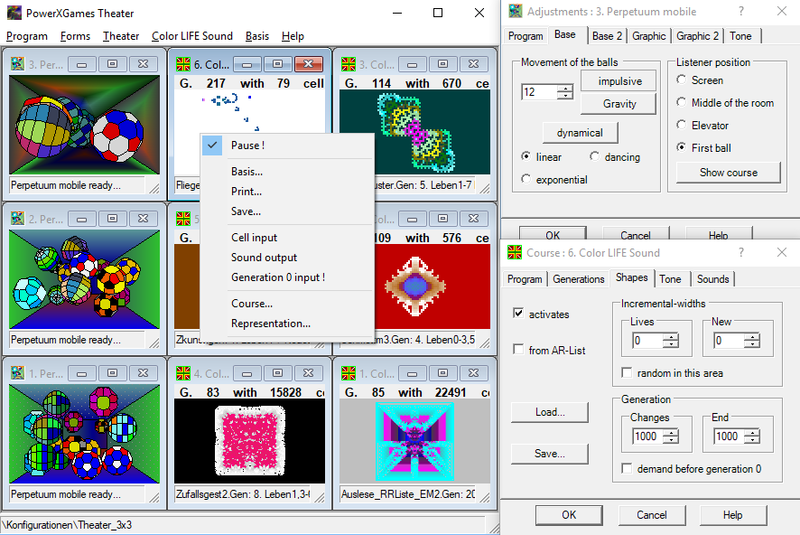 Color LIFE Sound plays the cell pattern with 3D-Tones. 24 sounds from four different sound themes can be selected. The area size, the bar and the volume is variably adjustable. Universal settings can be saved as file. Perpetuum mobile highlights continually moving and rotating balls. Up to 500 balls can be shown at one time. The ball movement can be selected to follow gravitation rules or be manipulated impulsively. The spectator position can be the screen, the middle of the room, on a ball, or on an elevator. Hereby special visual and acoustic effects come to the validity. SudokuMM is a classic Sudoku game which is one of the most popular puzzle games of all time. It is a convenient and minimum tool designed for Sudoku fans all over the world. 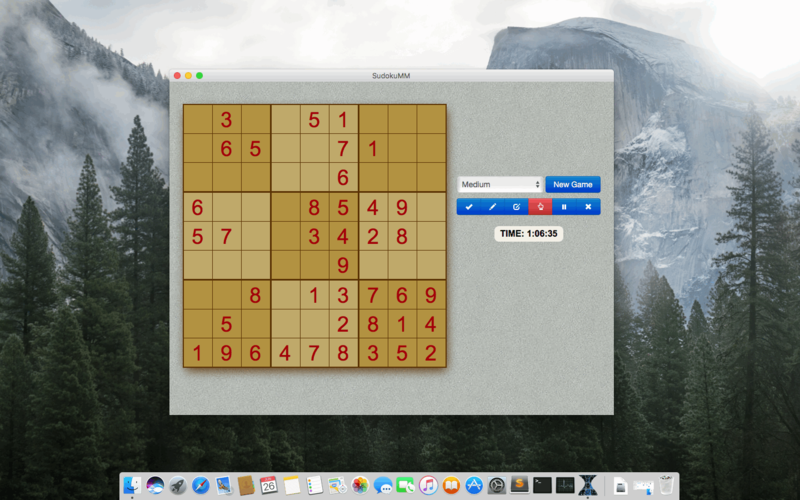 With SudokuMM, you can feel free to play Sudoku on your Mac whenever you want. There are four levels of difficulty for you to choose, you can easily find your suitable level to play with no worry about it’s too difficult or too easy to play. Without log in and registration, or any plug-in, you can simply enjoy the excellent experience anytime and everywhere. Start a game now. Within no time Sudoku will be your favorite free online game. ## USE CASES: BUILT FOR YOU The popular Japanese puzzle game Sudoku is based on the logical placement of numbers. An online game of logic, Sudoku doesn?t require any calculation nor special math skills; all that is needed are brains and concentration. The goal of Sudoku is to fill a 9?9 grid with numbers so that each row, column and 3?3 section contain all of the digits between 1 and 9. Your job is to use logic to fill in the missing digits and complete the grid. As a logic puzzle, Sudoku is also an excellent brain game. If you play Sudoku daily, you will soon start to see improvements in your concentration and overall brain power. 1. **Students**: The game of Sudoku is designed to help keep certain parts of the brain active. The American Alzheimer?s Association has endorsed Sudoku as a ?brain game?. Just like physical exercise, your mind need some exercise too. Playing sudoku actually exercises your brain extensively. As for students, their memory and logic could work side-by-side when you are playing Sudoku, and it will eventually improve their number skills. 1. **Adults**: Even you do not need to achieve high scores in test anymore, you cannot to stop exercising your brain and improving your ability to think. For example, you need to practice your logical thinking and work efficiency. Through playing Sudoku, players are required to think strategically and solve problems creatively Once you stop playing in the middle of the game, you have to start the whole thinking process, which helps you to develop your concentration power and re-focus skills. 1. **Anyone**: In fact, Sudoku is benefit for all kinds of people, and it is fun for all ages. Sudoku can even be a fun game for parents to play with their children ? you can both sit together and help your child learn how to fill in the spaces on the grid, teaching logical problem-solving skills and helping your child feel a sense of accomplishment with each puzzle solved. In addition, researches show that puzzle games like Sudoku might be a good way to reduce risk of dementia and Alzheimeras as people get older. By playing Sudoku more often, you can solve the puzzle faster and eventually advance to a harder level. Exercise your mind and you will become happier and smarter.From now on, spare a little time to play Sudoku everyday!